Today, for most in the developed world, ectoparasites are a thing of the past. In fact, the war on lice was only relatively recently won. In other species, such parasites are significantly detrimental to individual fitness, but human beings and, to a lesser extent, other primates, have demonstrated a unique ability to rid ourselves of such irritations. 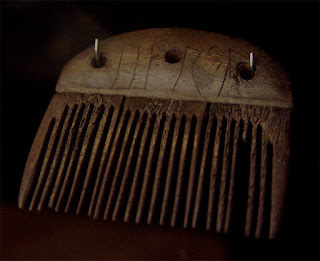 Much of the progress made by man has followed from one humble and ancient invention; the comb - an object that, by the Anglo-Saxon period, was in extensive use. The manufacture of Anglo-Saxon combs appears to have been quite a complex process, emphasising the importance of such objects, and it is worthwhile examining the significance of this tool in Anglo-Saxon society, along with other strategies used by our 'Dark-Age' ancestors for tackling infestation. 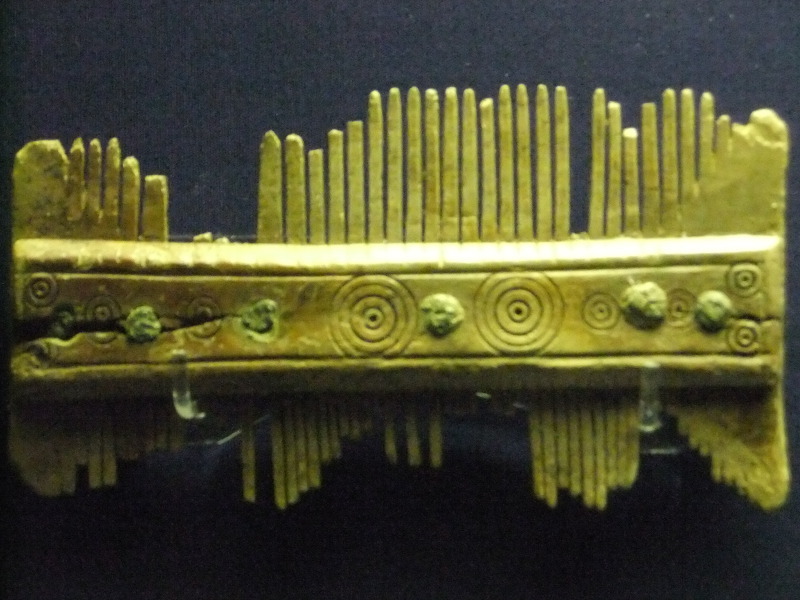 Combs are frequent finds in early Anglo-Saxon excavations and in cremation-burials. Most, although described as being of bone are actually made from antler, and although now, combs are predominantly used for hair arrangement, historically the comb’s main purpose was in de-lousing. The head-louse (Pediculus humanus capitis) has been infesting humanity for millions of years, and it and other ectoparasites have had a significant influence on development of human society. It is argued that mutual grooming among our primate ancestors was an important foundation-stone for early society, and for thousands of years, human grooming practises have involved the comb. Regular use of the comb would reduce but probably not eliminate head-lice. Anglo-Saxon combs were mostly made from antler or bone. Antler is stronger and thus the teeth of the comb are less likely to break, although eventually a comb would become useless and so be discarded onto the rubbish-heap which is why so many are found. Antler combs would have been fashioned from the cortex of shed antler, which is composed of high-density compact bone. Comb-makers, who may have often been specalists, would cut rectangular sections to form the teeth-plates and two long narrow side-pieces, which fix the teeth-plates together. Once cut, the plates would have been filed to a smooth finish and uniform thickness and the side plates shaped into a ‘D’ cross-section. These were often then decorated with carved lines, ringed dots (made with a rotary tool, such as a bow-drill) or even engraved in runes with the owner’s name. 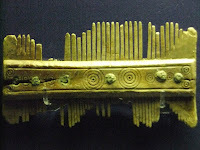 Early combs often had elaborate terminals. With all the components complete, they were clamped together and holes were drilled through the side-pieces and teeth-units using a bow-drill. The tooth plates were then riveted between the side plates to form the complete comb. Comb rivets were usually iron but occasionally copper-alloy was used. Once assembled the edges were trimmed to give a completely uniform edge. Using a fine saw, the teeth-plates are then cut, one tooth at a time. This is a very exacting process. When done, the teeth would have been finished by knife-trimming and/ or filing. Some combs were designed as double units with coarse teeth on one side and fine teeth on the other. To protect them from damage, combs sometimes had their own bone case. A relatively simple and modest object, and a common find at archaeological sites, some comb finds belonging to more distant ancestors have had a significant impact on our understanding of the language of the early Germanic peoples. One such example, the Vimose Comb, found in a bog on the central Danish island of Funen (Fyn) bears what is considered to be the oldest runic inscription ever found. These runes, haphazardly scraped onto the upper portion probably using a knife, seem to read "harja". These runes have been subject to many different interpretations over the years, but the most logical would seem to be that they spell the name of the individual to whom the comb belonged. Linguistically, however, this is an important discovery because it is an instance of a known masculine word ending in “a” very early in the history of Germanic language. It is a newly discovered step in the evolution from Proto-Germanic (spoken in the first century B.C.E.) and the West Germanic language family from which we get modern German, Dutch and English. Why anyone should bother to write ‘comb’ on a comb remains a complete mystery. "For Lice - to make a salve for lice ; boil in butter the lower parts of hemlock (hymlic) and wormwood (wermod) or rosemary (bogen) - smear the head therewith. The salve will have the effect that there will be fewer lice there. " 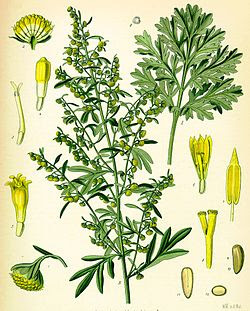 For lice, a salve - cammoc (cammuc), crowfoot (wenwyrt), radish (antre), wormwood - pound to dust, knead thoroughly with oil. Smear the whole body therewith. ‘Against lice : pound oak rind (acrind) and a little wormwood in ale and give it to the sufferer to drink’. The suggestion of using quicksilver (mercury) is interesting, for this toxic element has a long documented history of use as a treatment against lice. Indeed, as far back as 1,200 BCE the Chinese were using mercury compounds to control body lice, a practice which continued up to the 19th century C.E, as highlighted in the 1881 Household Cyclopedia which continued to advocate, as a treatment, application of "Mercurial ointment (a mixture of mercury, hog lard, and mutton suet containing twelve grains of mercury in one drachma of ointment) well rubbed on the infected part and washed off with warm water and soap." It seems clear, therefore, that some of the Anglo-Saxon remedies for lice infestation would have been quite effective, though, with many ingredients harmful or highly toxic, such potions would best be avoided today! It seems clear, though, that our ancestors knew a thing or two about lice ! 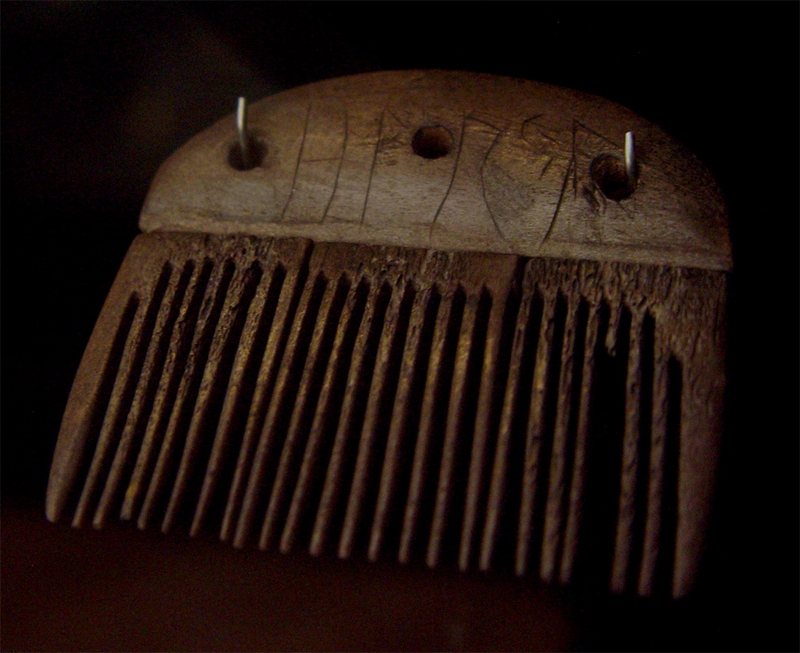 The modern word derives from the Old English (Anglian) comb. The Old West Saxon was camb, and both derive from from West Germanic *kambaz (compare Old Norse kambr), literally "toothed object," from the Proto-Indo-European *gombhos, from the root *gembh- "to bite, tooth". The verb ‘to comb’ is cemban in Old English which from Proto-Germanic *kambijan (hence the living fossil-word ‘unkempt’ - literally un-combed). The word "louse" derives from the Old English lús.This comes from the Proto-Germanic *lus (Old Norse lus, Old High German lus) from Proto-Indo-European *lus. The plural "lice" (Old English lýs) shows effects of i-mutation. The word "nit", referring to the adhesive eggs of lice, derives from Old English hnitu "louse egg, nit" and derives from Proto-Germanic *khnito from Proto-Indo-European root *knid- "egg of a louse".